IBM today announced it has acquired UrbanCode Inc.
Based in Cleveland, Ohio, UrbanCode automates the delivery of software, helping businesses quickly release and update mobile, social, big data, cloud applications. Mobile, social, big data and cloud technologies are driving demand for new, faster and more frequent approaches to software delivery. Waiting days or even months to get an update to clients is no longer acceptable. With UrbanCode’s technology, businesses can reduce the cycle time it takes to get updates or new applications into market, from months to minutes. This approach is designed to help reduce cost and risk, while helping address changing client needs by enabling a company to rapidly incorporate feedback into and improve the overall quality of their applications and services. UrbanCode’s software is a natural extension of IBM’s DevOps strategy, designed to simplify and speed the entire software development and delivery process for businesses. The new capabilities also enhance IBM SmartCloud and IBM MobileFirst initiatives by making it easier and faster for clients to deliver software through those channels. For example, by combining UrbanCode software with the IBM MobileFirst Worklight technology, businesses can now author and deploy an application for any mobile device in hours, versus a previous multi-day timeline. The UrbanCode solution also works with traditional applications including middleware, databases and business intelligence. For more information visit the IBM Rational site. One of the things we heard about extensively during our time on the ground at SXSW Interactive 2013 in Austin over the past week was the importance of the customer experience. Whether that be in applications in mobile devices, in customer service via the social media, the physical experience of a brand’s product or service…the customer experience rules! And this anecdotal data is supported by IBM’s own research, including last year’s Global CEO Study, which queried 1,700 CEOs from 64 countries and 18 industries and found that CEOs are changing the nature of work by adding a powerful dose of openness, transparency, and employee empowerment to the command-and-control ethos that has characterized the modern corporation for more than a century. The study revealed that the advantages of this fast-moving trend are clear: Companies that outperform their peers are 30 percent more likely to identify openness — often characterized by a greater use of social media as a key enabler of collaboration and innovation — as a key influence on their organization. Those “outperformers” are also embracing new models of working that tap into the collective intelligence of an organization and its networks to devise new ideas and solutions for increased profitability and growth. In order to forge those closer connections with customers, partners, and a new generation of employees in the future, CEOs plan to shift their focus from using e-mail and the phone as primary communication vehicles to using social networks as a new path for direct engagement. And while social media is the least utilized of all customer interaction methods today, it stands to become the number two organizational engagement method within the next five years, a close second to face-to-face interactions. Given the data explosion being witnessed by many organizations, CEOs also recognized the need for more sophisticated business analytics to mine the data being tracked online, on mobile phones and social media sites. The traditional approach to understanding customers better has been to consolidate and analyze transactions and activities from across the entire organization. However, to remain relevant, CEOs must piece together a more holistic view of the customer based on how he or she engages the rest of the world, not just their organization. The ability to drive value from data is strongly correlated with performance. Outperforming organizations are twice as good as underperformers at accessing and drawing insights from data. Outperformers are also 84 percent better at translating those insights into real action. To this end, IBM today announced the creation of the IBM Customer Experience Lab, dedicated to helping business leaders transform the way customers experience their products, services and brands through the use of mobile, social, cloud and advanced analytics technologies. In the new age of Big Data and analytics, organizations are reassessing how to move from addressing mass audiences to personalized relationships. The same technologies allow enterprises to engage in new ways with their employees, allow government agencies to build new relationships with citizens, or enable new models of interaction among students and educational institutions. Customer insight. Applying advanced capabilities such as machine learning and visual analytics to predict differences in individual customer behavior across multiple channels. Customer engagement. Using deep customer engagement to drive insight and continuously deliver value by personalizing engagement, versus transactional experiences. Employee engagement. Embedding semantic, collaborative, and multimedia technologies to foster employee engagement and insight – in person and online. The Lab brings together skills across disciplines including service science, industries research, mathematics and business optimization, social, mobile, Smarter Commerce, data mining, cloud computing, security and privacy, cognitive computing and systems management. IBM invests more than $6 billion annually on research and development and employs about 3,000 researchers worldwide. IBM Global Business Services deploys business consulting, applications and delivery expertise globally, including market-leading business analytics, Smarter Commerce, mobility and applications management practices. Visit here for more information about the IBM Customer Experience Lab, and follow IBM’s innovation breakthroughs on Twitter at @IBMResearch. LabelSneak teamed with IBM and IBM Business Partner CSI Solution to connect with the growing marketplace of consumers who prefer to buy across online, mobile and social channels. IBM Smarter Commerce precision marketing is allowing consumers to choose which sales promotions they want to be alerted to or when their favorite clothing item goes on sale via text, tweet, Facebook post or email. This can be a more effective sales method as smaller retailers can deliver a level of personalization and a more tailored marketing campaign to the individual consumer. There’s some new news on the Smarter Commerce front from IBM. Earlier today, IBM announced a collaboration with LabelSneak, a small online retailer of discounted designer men’s wear, which is using IBM Smarter Commerce technologies to create a unique shopping experience aimed at the millennial consumer. As a result, LabelSneak has seen 148 percent growth in revenues, tripling sales in less than a year. LabelSneak is an outlet store aimed at brand aware males, and offers discounts of up to 75 percent on fashion and sportswear, alerting its consumers via social channels to personalized, limited-time sales offers. With new deals updated regularly, the site generates tremendous amounts of data, including Tweets, Instagram photos, Facebook comments on popular sales items and conversations between consumers on favorite brands through social channels, mobile and tablet devices. LabelSneak’s challenge was this: To capture and glean insights from all this big data to better understand what consumers were saying about the latest promotions, which items were the most popular and at what time and in what circumstances sales were most effective. They also needed analytics to better target and mold online sales campaigns and to decide which social channels effectively communicated its message to attract new customers. LabelSneak teamed with IBM and IBM Business Partner CSI Solution to connect with the growing marketplace of consumers who prefer to buy across online, mobile and social channels. With access to IBM Global Financing within minutes, the small retailer is now using IBM Smarter Commerce technology to handle high volumes of transactions as well as the large volumes and variety of data, CSI’s RapidCommerce Cloud Managed Service Solution has helped LabelSneak create a site to more effectively target the digitally savvy millennial consumer with an integrated brand experience across all devices. To date, the platform is supporting a rapid pace of growth, enabling the client to focus its time and resources on growing the business such as conducting sales promotions, gleaning insights from Facebook comments or tweets. Fashion companies of every size and style are vying for a slice of the men’s wear market. 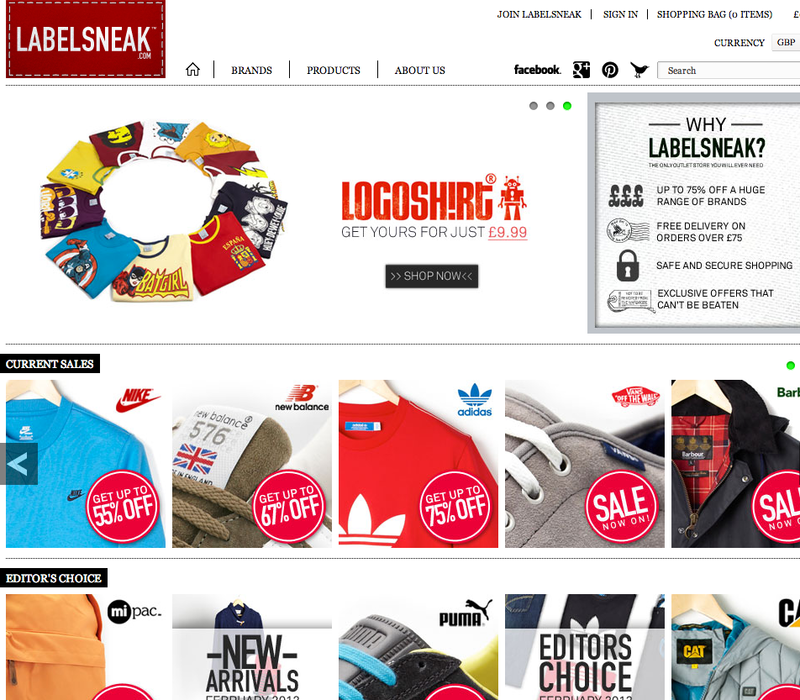 To compete with more established retailer brands, LabelSneak needed to better understand men’s online consumer behavior, create a more tailored marketing campaign and deliver the right merchandising mix. Not only is LabelSneak gleaning insights from data analyzing which brands to carry, but they also are seeing how consumer preferences for certain brands in men’s wear are connected to a favorite sports teams or music. IBM Smarter Commerce precision marketing is allowing consumers to choose which sales promotions they want to be alerted to or when their favorite clothing item goes on sale via text, tweet, Facebook post or email. This can be a more effective sales method as smaller retailers can deliver a level of personalization and a more tailored marketing campaign to the individual consumer. IBM Smarter Commerce provides intelligent automation of marketing, sales, customer service and procurement to help chief marketing officers, chief procurement officers, sales, e-commerce, supply chain and customer service executives do their jobs more productively and efficiently. Go here if you’d like to do some shopping on LabelSneak. Population growth, massive urbanization and climate change are placing increasing demands on our limited water supply. Forty one percent of the world’s population – that’s 2.3 billion people – live in water-stressed areas; this number is expected to grow to 3.5 billion by 2025. And according to the United Nations, water use has been growing at more than twice the rate of population increase over the last century. With advances in technology — deep computing and Big Data analytics linked to sophisticated sensor networks and smart meters — IBM is helping clients and partners make smarter decisions about water management. By monitoring, measuring and analyzing water systems, from rivers and reservoirs to pumps and pipes, we can better understand the issues around water. IBM is applying its expertise in smart systems and Big Data to help companies, governments and citizens understand and more effectively deal with these issues. Waterfund LLC announced today that it has signed an agreement with IBM to develop a Water Cost Index (WCI). Scientists from IBM Research will apply Big Data expertise, acting as a calculation agent, to analyze large and diverse unstructured data sets. This will be used to develop of a WCI framework that would estimate the cost of water in different regions around the world. With its market and financial product expertise, Waterfund will work to structure and commercialize the WCI. As governments are increasingly forced to turn to the private sector to fund the construction and maintenance of complex water networks, the Rickards Real Cost Water Index™ will serve as a benchmark for helping measure hundreds of critical projects on a like-for-like basis. Index values will reflect estimated water production costs measured in US dollars per cubic metre for a variety of major global water infrastructure projects ranging from retail water utilities and wholesale water utilities to major transmission projects. “The backlog of investment in water systems around the world by some estimates approaches $1 trillion – quite apart from the hundreds of millions of people who have never had access to a water or sanitation system at all,” said IBM Distinguished Engineer and Big Green Innovations CTO Peter Williams. Typically, investors have turned to the public equity markets to gain exposure to the water sector, with mixed results. The WCI is intended to provide a market benchmark and to spur the development of third-generation financial products for both water producers and investors and to aid the growth of the water sector globally. 1. Yet the Agency lacks the water it needs to supply a contractually specified daily volume of water to its largest customer, with a consequent risk of large penalties for each day of insufficient volume. Using strike and trigger values based on the WCI, the Water Agency could purchase a $25 million, 2 year insurance product. Payout to the Water Agency would be triggered on the total change in its Water Cost Index (as well as some other conditions, such as a specified increase in asset failure costs). This approach would enable the Water Agency to enhance its overall credit profile with the insurance enabled by the WCI, finance Phase 2 of the desalination plant and meet its supply obligations. Scenario 2: A large desalination and water transmission system project needs to secure private equity and institutional funding alongside that from development banks and sovereign funds, to the tune of one third of the total project cost. To achieve this, the project needs a way to reduce risk to its investors. Based on movement in the WCI, the project could purchase $50 million in insurance. This would enable the insurance product to then be underwritten by a large reinsurer and allow the project to secure the private sector contribution it needs in order to proceed. Go here to learn more about IBM Smarter Water Management initiatives. You can also go here to register for a report IBM prepared on why we need smarter water management for our world’s most precious resource. IBM today announced it has entered into a definitive agreement to acquire StoredIQ Inc., a privately held company based in Austin, Texas. StoredIQ will advance IBM’s efforts to help clients derive value from big data and respond more efficiently to litigation and regulations, dispose of information that has outlived its purpose and lower data storage costs. Adding StoredIQ to IBM’s Information Lifecycle Governance suite gives organizations more effective governance of the vast majority of data, including efficient electronic discovery and its timely disposal, to eliminate unnecessary data that consumes infrastructure and elevates risk. 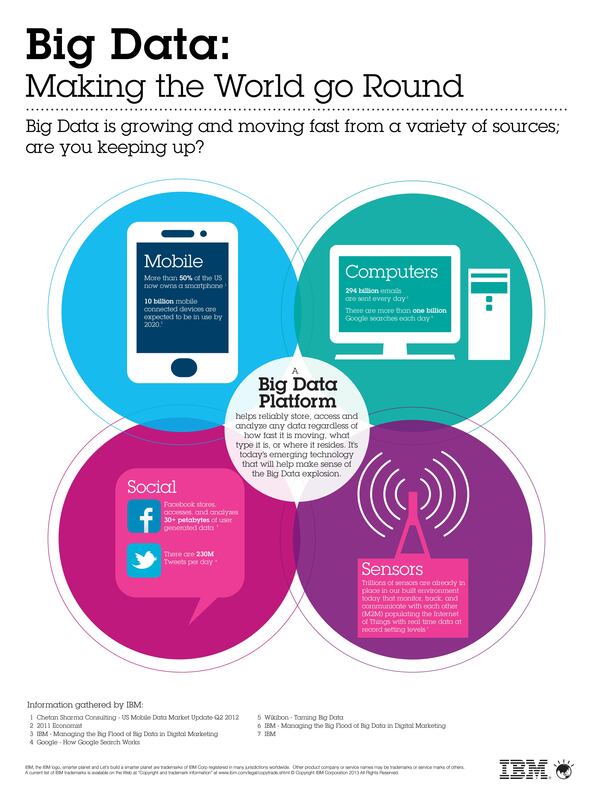 As a result, business leaders can access and analyze big data to gain insights for better decision-making. Legal teams can mitigate risk by meeting e-discovery obligations more effectively. Also, IT departments can dispose of unnecessary data and align information cost to value to take out excess costs. What Does StoredIQ Software Do? StoredIQ software provides scalable analysis and governance of disparate and distributed email as well as file shares and collaboration sites. This includes the ability to discover, analyze, monitor, retain, collect, de-duplicate and dispose of data. In addition, StoredIQ can rapidly analyze high volumes of unstructured data and automatically dispose of files and emails in compliance with regulatory requirements. StoredIQ brings powerful, innovative capabilities to govern data in place to drive value up and cost out. IBM intends to incorporate StoredIQ into its Software Group and its Information Lifecycle Governance business. Building on prior acquisitions of PSS Systems in 2010 and Vivisimo in 2012, IBM adds to its strength in rapid discovery, effective governance and timely disposal of data. The acquisition of StoredIQ is subject to customary closing conditions and is expected to close in the first quarter of 2013. Go here for more information on IBM’s Information Lifecycle Governance suite, and here for more information on IBM’s big data platform. For this year’s “Cyber Monday,” the average order value was $185.12 and shopping peaked at 11:25 EST. Department store sales online were up 43.1% over 2011. Greetings. I’m back from celebrating my parent’s 50th wedding anniversary on the high seas of the Gulf of Mexico. Alas, due to my shipbound nature, I wasn’t able to participate in the annual cyber holiday shopping extravaganza. Internet access on the high seas is both expensive and slow, and hey, this was a semi vacation for me, so being online would have been too much like work. I did make some local economic contributions in port, in both Progreso and Cozumel, by shopping with the local vendors and in the duty free shops, so I can come out of the initial holiday shopping festivities without much guilt. But if you missed the press coverage earlier in the week, I did want to share results from the IBM Digital Analytics Benchmark, part of IBM’s Smarter Commerce initiative and an excellent view into the behaviors and trends of holiday cyber shoppers. The headline, of course, was the size of the market, with holiday shoppers turning the 2012 “Cyber Monday” into the biggest spending day ever, with growth coming in at 30.3 percent over the same period last year. With an increase in online sales across multiple channels, the digital consumer took center stage. Retailers, marketing departments and chief marketing officers (CMO) delivered a consistent customer experience across multiple channels from mobile devices, to online and to the show floor leading to the record shopping day. Shopping Peaks at 11:25am EST: Consumers flocked online, with shopping momentum hitting its highest peak at 11:25am EST. As in 2011, consumer shopping also maintained strong momentum after commuting hours on both the east and west coast. Mobile Shopping and Mobile Traffic Increase: On Cyber Monday more than 18 percent of consumers used a mobile device to visit a retailer’s site, an increase of more than 70 percent over 2011. Mobile sales reached close to 13 percent, an increase of more than 96 percent over 2011. The iPad Factor: The iPad continued to generate more traffic than any other tablet or smartphone, driving more than 7 percent of online shopping. This was followed by iPhone at 6.9 percent and Android 4.5 percent. The iPad also continued to dominate tablet traffic reaching a holiday high of 90.5 percent. Amazon Kindle leapt into second at 2.6 percent followed by the Samsung Galaxy at 2 percent and the Barnes and Noble Nook at 0.6 percent. Multiscreen Shopping: Consumers shopped in store, online and on mobile devices simultaneously to get the best bargains. Overall 58.1 percent of consumers used smartphones compared to 41.9 percent who used tablets to surf for bargains on Cyber Monday. The Savvy Shopper: While consumers continued to spend more, they once again shopped with greater frequency to take advantage of retailer deals as well as free shipping. This led to a drop in average order value by 6.6 percent to $185.12. However, the average number of items per order increased 14.1 percent to 8.34 compared to Black Friday. Social Sales: Shoppers referred from Social Networks such as Facebook, Twitter, LinkedIn and YouTube generated 0.41 percent of all online sales on Cyber Monday, a decrease of more than 26 percent from 2011. Sales on mobile devices accounted for 12.9% of all Cyber Monday sales this year, with the iPad continuing to lead the tablet shopping pack at 90.5 percent share. Department stores continued to offer compelling deals and promotions that drove sales to grow by 43.1 percent over Cyber Monday 2011. Health and Beauty sales increased 25.1 percent year over year with consumers once again choosing to pamper themselves this holiday. Home goods maintained its momentum this year, reporting a 26.8 percent increase in sales from Cyber Monday 2011. Apparel sales were also strong this holiday with Cyber Monday numbers showing an increase of 25.3 percent over 2011. These trends were based on findings from the IBM Digital Analytics Benchmark, the industry’s only cloud-based Web analytics platform that tracks more than a million e-commerce transactions a day, analyzing terabytes of raw data from 500 retailers nationwide. Analysis of public social media content came from the IBM Social Sentiment Index, an advanced analytics and natural language processing tool that analyzes large volumes of social media data to assess public opinions. With this data IBM helps chief marketing officers (CMOs) better understand and respond to the needs of each individual customer, improving sourcing, inventory management, marketing, sales and services programs. First of all, e-commerce is alive and well, with the 30+ percent increase in online sales suggesting more people than ever are not only comfortable with e-commerce, they’re confident in the economy and willing to open up their pocketbooks, even as they aggressively looked for deals online and off. The mobile juggernaut continues, with Apple enjoying the most notable e-shopping platform in the form of the iPad, but retailers have to continue to strive for synergy between the online and brick-and-mortar experience, as customers are still coming into stores, but only once they’ve first done research via their PCs or mobile devices. We are definitely in an age of the Informed Consumer. Though the social referrals number may seem somewhat low, and despite the decrease in social referrals year over year, Facebook and other platforms continue to play a vital and instrumental role in providing word-of-mouth recommendations about products and services. Retailers ignore those social presences at their peril. And finally, and probably most importantly for retailers trying to understand consumer behavior in the grander scheme of things — and as the IBM Digital Analytics Benchmark itself observes — there’s a lot to be learned in the aggregate analysis of all these transactions. Big data is here, and it looks as though it’s here to stay, particularly in the retail industry. Whether it’s trying to better understanding “day parts” (the time of day people were most active shopping online), or the device footprint (Have you created an enhanced experience for all those millions of iPad shoppers?? ), sifting through and analyzing all this cyber shopping data presents both challenge and opportunity, and those retail clients who synthesize, then optimize, their online shopping experiences based on these changing behaviors will be the ultimate holiday shopping season victors.